Beans and rice are a popular combination. Add sausage and green bell pepper to the mix and you have a dish that many people, especially those from southern Louisiana, might say is a touch of heaven. 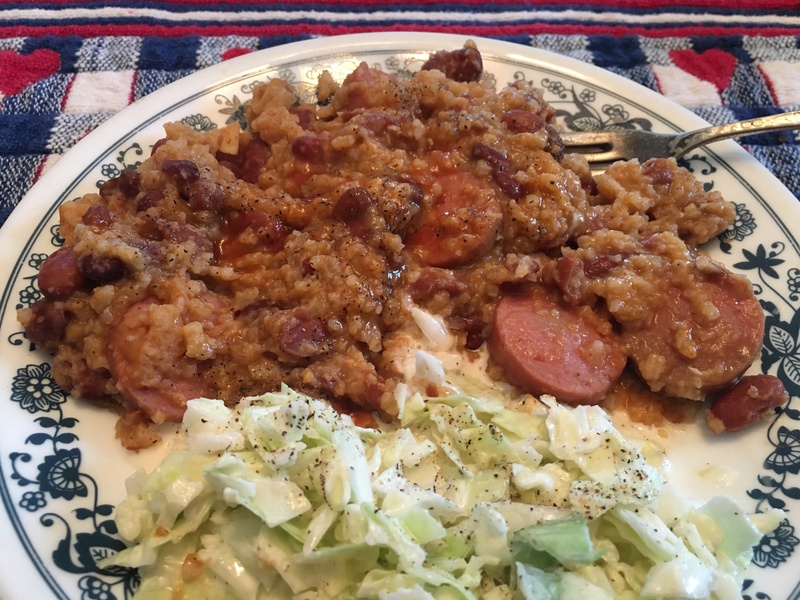 For Cajuns and those of Creole descent, red beans and rice is classic comfort food that has been around for a couple of centuries. In Cajun homes, it was traditionally served on Mondays, when the women would do laundry by hand, an all-day chore. The beans would be soaked the night before being placed on the stove with with the “trinity,” onions, bell peppers and celery, and a ham bone (later replaced with sausage). This was then simmered all day and later served over rice. The following recipe takes the convenience factor to another level. All of the ingredients are placed in a slow cooker and cooked for up to six hours (four if it’s on HIGH), making it the perfect entree for those who are too busy with work or other projects to spend time preparing dinner. Comfort and convenience. Now that’s a great combo! In a 2-quart or larger slow cooker, combine the smoked sausage, kidney beans, onion, garlic, rice and water. Season with Cajun seasoning, hot pepper sauce, salt and bay leaf. Cover and set on High. Once it gets heated through, stir to distribute everything evenly. Cover and cook on LOW for 6 hours or on HIGH for 4 hours. What kind of sausage is recommended? Any smoked sausage would work, but andouille might be the best.